Ah, the spa. Is there a better place to take your cruise ship relaxation up another notch? We think not. Meaning it is becoming more and more important to cruise lines that their spa is a cut above the rest. 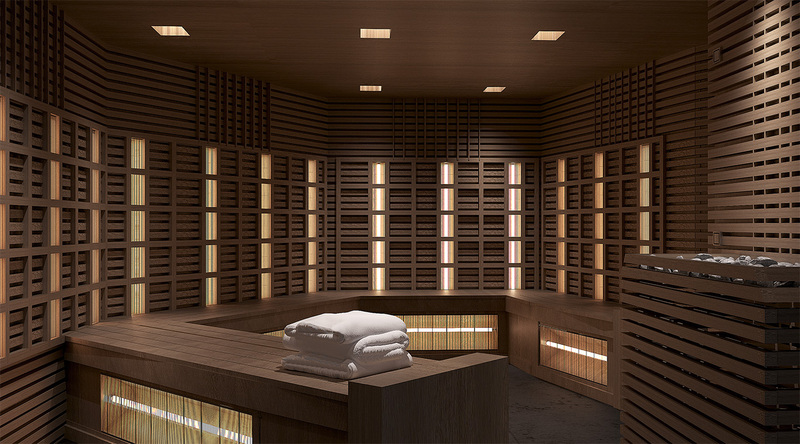 And so, with the launch of Celebrity Edge mere months away, we’ve been given a sneak peek at the innovations and design choices to be found in their on-board spa. 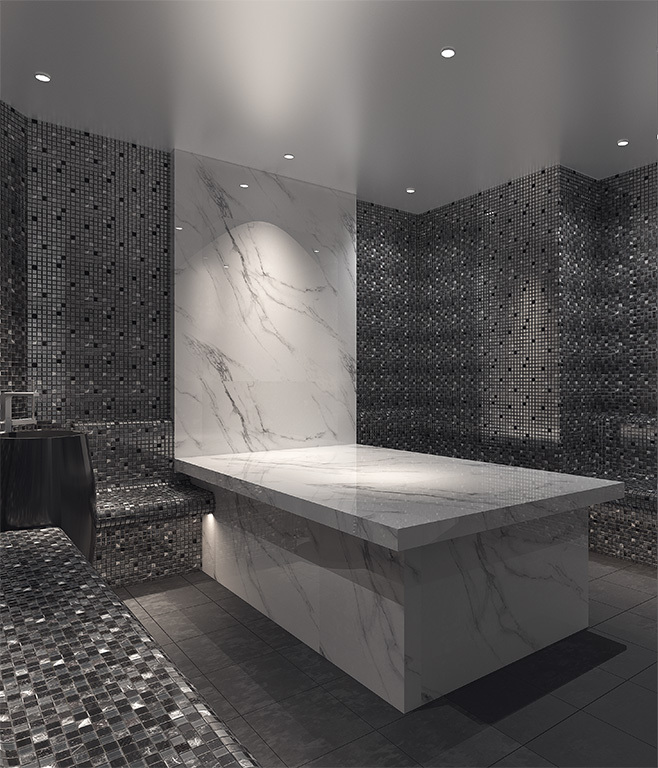 With more than 22,000 square feet for guests to renew, restore, and reinvigorate, The Spa was inspired by nature, and masterfully designed by interior designer, Kelly Hoppen MBE, and features a vast selection of treatments in collaboration with industry-leading partners. 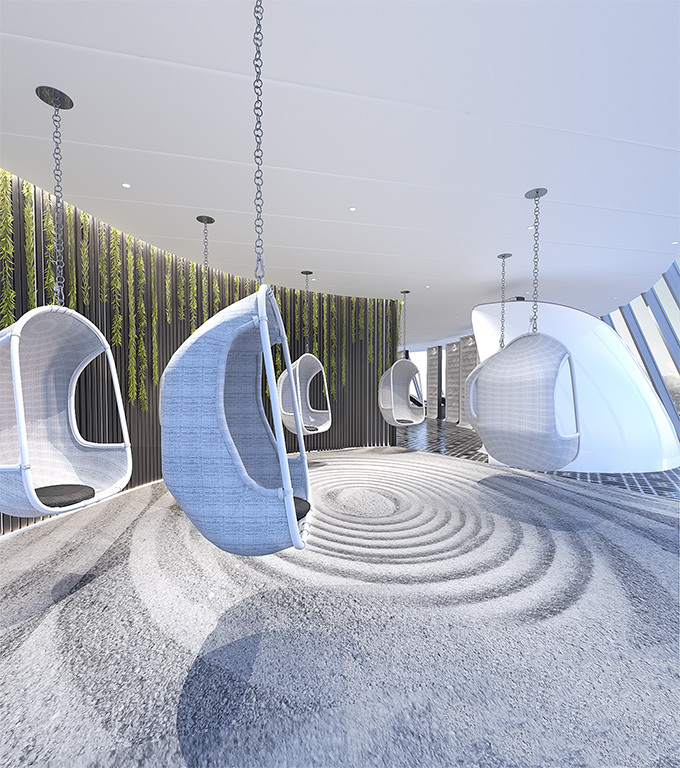 “Our vision for The Spa was the same aspiration we have for Celebrity Edge – to provide our guests with a deeper and more profound connection to the sea,” said Lisa Lutoff-Perlo, president and CEO, Celebrity Cruises. 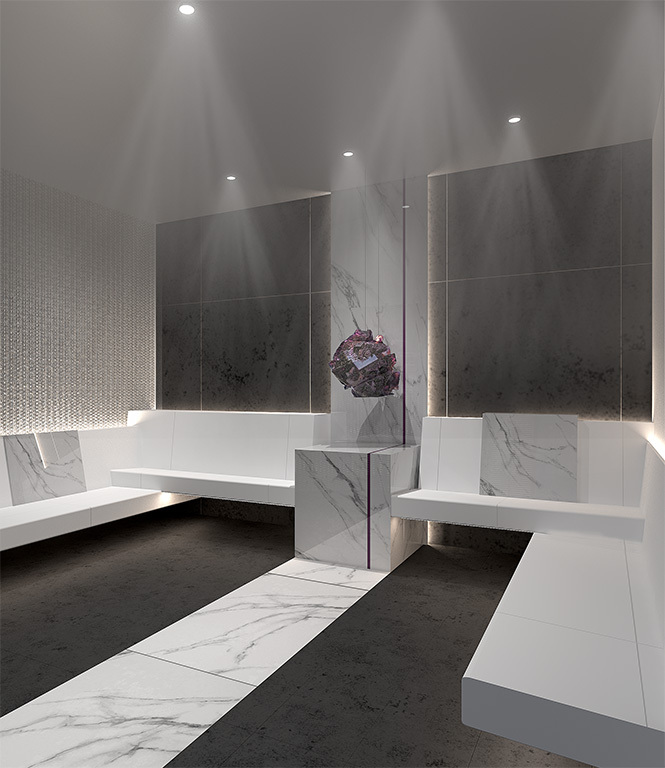 To create an environment they describe as ‘in harmony with nature and undeniably luxurious’, Celebrity Cruises collaborated with famous interior designer, Kelly Hoppen – who also worked on Celebrity Edge’s accommodation – to bring her unique vision to The Spa. “The spa has always been a sacred space to me. I always dreamt of designing my very own spa and Celebrity Edge proved to be the perfect outlet for living out my dreams,” said Kelly Hoppen. There will be more than 124 treatments on offer, including signature offerings such as the Ocean Spa Wave Massage, Hot Mineral Body Boost, Poultice-Powered Muscle Release, Zero Gravity Wellness Massage, Restorative Salt Stone Massage, and Thousand Flower Detox Wrap, to name but a few. Take a look at our gallery of images below and let us know what you think about it on our Facebook and Twitter pages.